Berlin is just a few hours away from Prague and reasonably priced via bus or train, so Dr HH and I have been there enough times now that we don’t even have to pretend to be going to experience the culture or history anymore. Now we can just straight up admit that we’re going to for the vegan food, and TK Maxx. Part of the vegan food draw is the brunch scene. 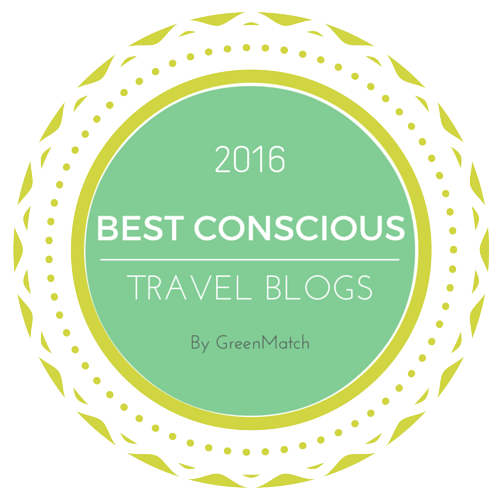 There’s nowhere in Prague that does the same all-you-can-eat, all-vegan buffet brunch that is prevalent in Berlin. We’ve already ticked off a few places, and this time we tried another one: Ataya Caffe. Ataya Caffe is owned by an African/Italian couple, and so every Sunday they serve a brunch buffet with a mixture of both cuisines. This sounded super exciting, and we were very happy that they could squeeze us in for a last minute reservation. 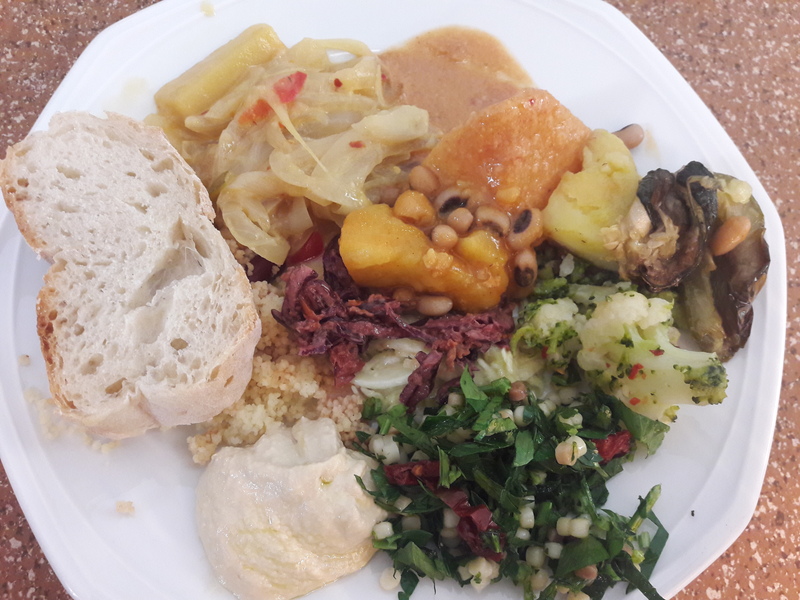 There were quite a lot of dishes to choose from, including two different kinds of hummus, an assortment of salads, some fluffy bread and crispy crackers, one aubergine antipasti dish, and a collection of African stews. There was a peanutty one that was very good indeed, and the hummus was also top notch. A pasta dish appeared at one point, but Dr HH reported that it was a pretty unexciting sauce. 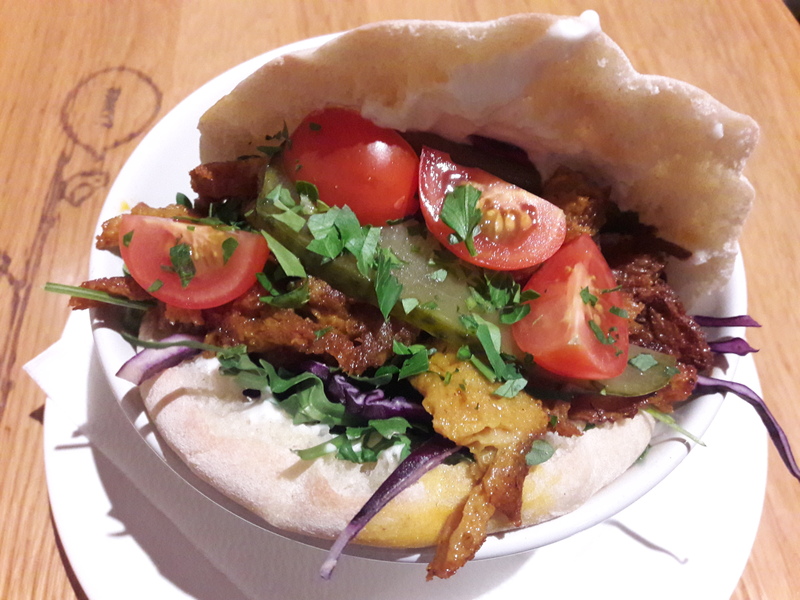 There was some falafel as well, briefly -that was good. 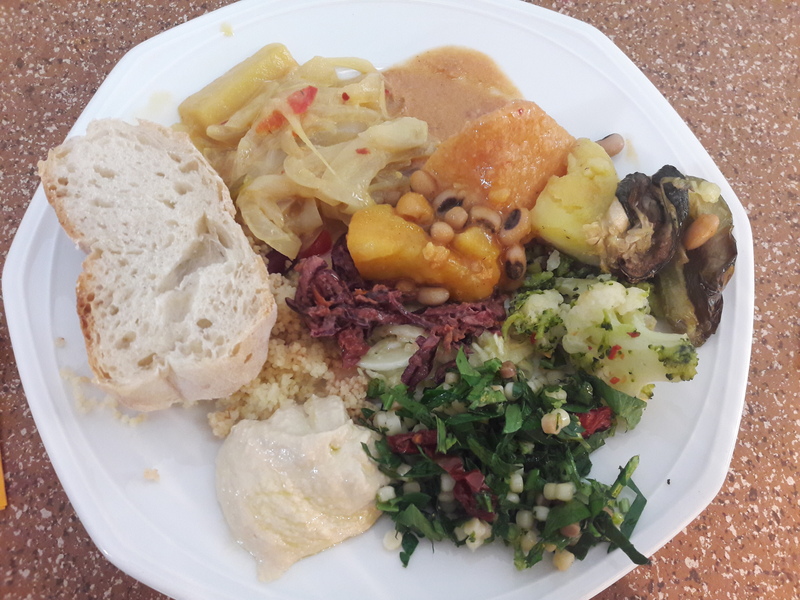 There were lots of things to try, and everything looked colourful and fresh, but the peanut stew and the anitpasti were the only properly remarkable dishes, and so we weren’t too fussed about going back for seconds and thirds as we usually would. 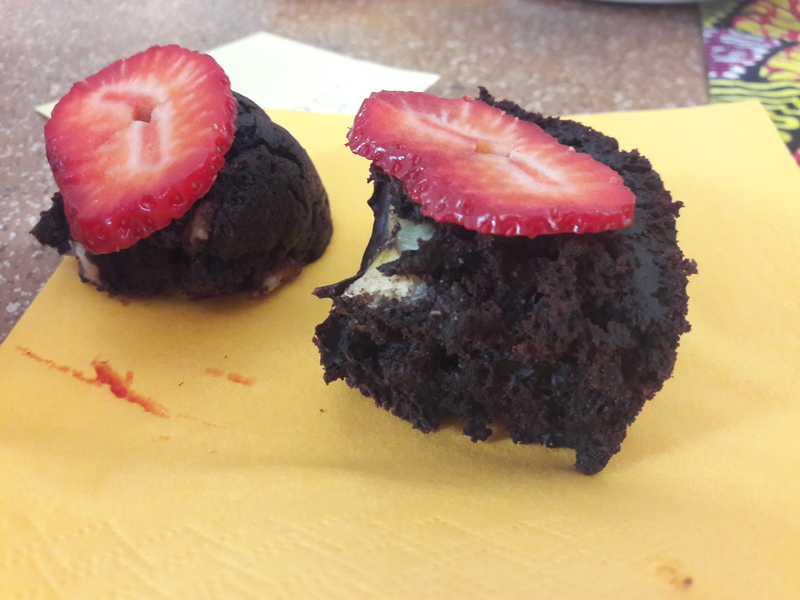 Alas, there was only one sweet dish – these little bites of chocolate cake were good and intense, but it would have been nice to have more options. My main complaint about this is that it wasn’t really a brunch buffet so much as a lunch buffet – we couldn’t think of anything about it that seemed particularly breakfasty. And we were also expecting more fusion cuisine, whereas there wasn’t really much of an Italian flavour running through it at all. All in all, it was a nice idea and solid food if you’re looking for a good lunch. But not the best of Berlin’s brunch options. I think a case can be made that certain trendy foods are designed more with social media in mind than actual feasting. That’s probably the case for freak shakes, and I suspect also for the burgers that are stacked up taller than a toddler. 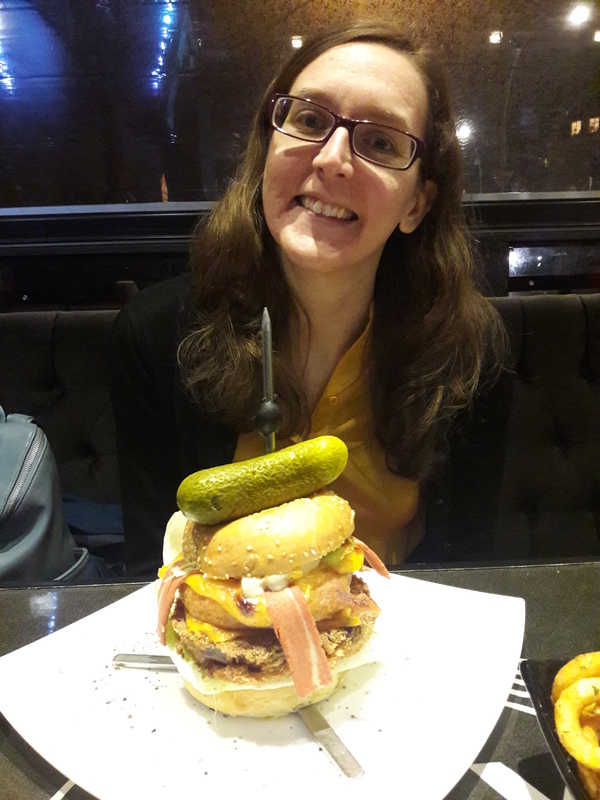 So while I was lured in by the social media snaps of the massive burgers at Lily Burger in Berlin, I wasn’t really expecting to be able to eat my entire meal. And it’s just as well I went in with that expectation, because the amount of food was insane! Lily’s reminded me somewhat of the great Annie’s in Nottingham, because it too has an extensive burger menu where every option is available meaty, vegetarian, or vegan. It didn’t have quite the same atmosphere though: when we were in on Friday evening they were playing loud dance music and it was a bit more of a dive than I’d like. But the food was good! 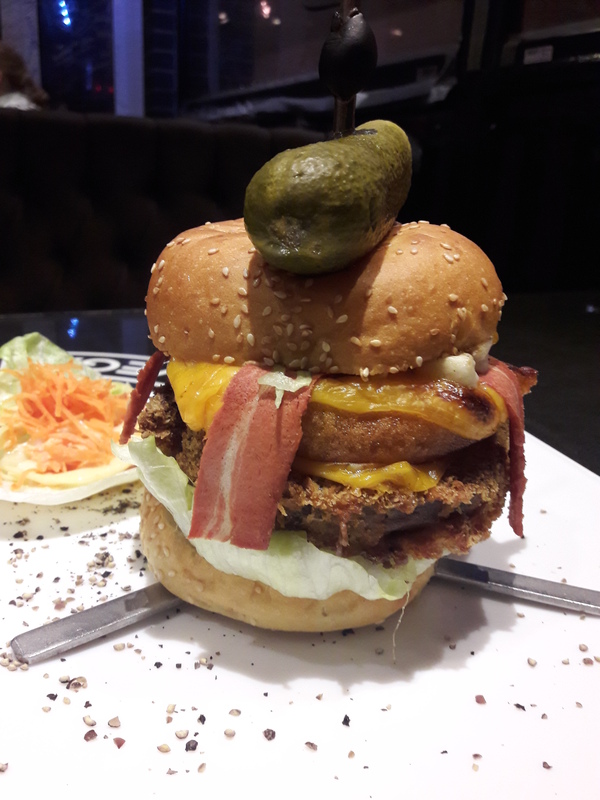 There’s only one vegan patty, a good crispy seitan one, so we started with that and then chose which concoction we’d like. Mine came with vegan cheddar, bacon, halloumi, BBQ sauce, and an onion ring. 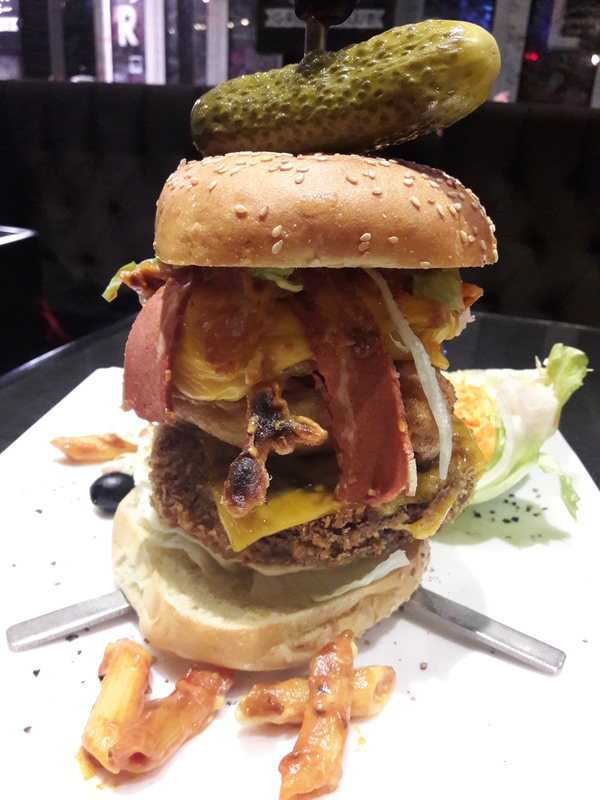 It was the tallest burger I’d ever tackled, and it was presented on a sturdy metal skewer. Obviously it had to be eaten with a knife and fork, which is never my favourite approach, but there was no alternative here. The patty was top notch, and I loved both cheeses. 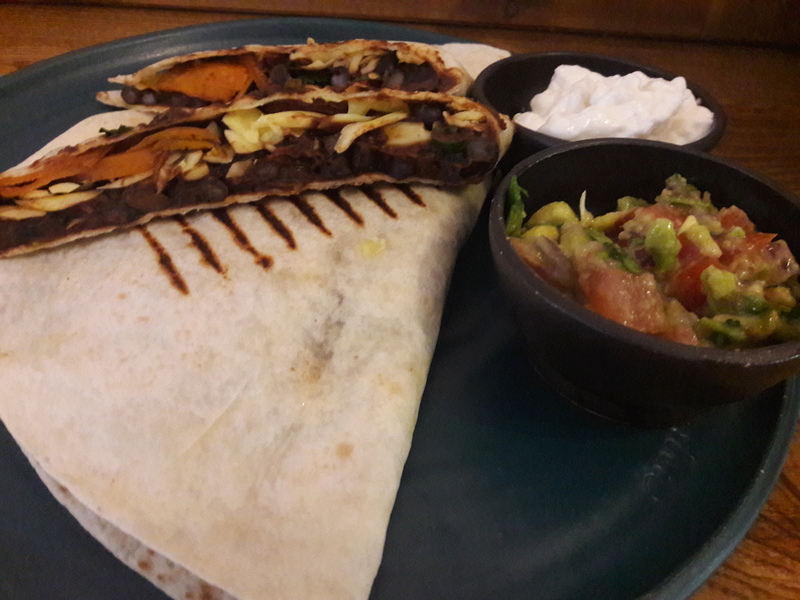 I think it was my first time trying vegan halloumi, and I enjoyed it – it even had that classic halloumi squeak! The bacon was pretty standard European vegan bacon: not massively bacony, but significantly better than veggie bacon was back in the nineties. And the onion ring was delicious! I managed about two thirds of this before accepting that continuing would have been unwise. I was stuffed! Dr HH, of course, put me to shame and devoured this monstrosity in its entirety. Imagine! His came with cheddar, bacon, honey mustard sauce, chilli mac and cheese, and a bacon onion ring. The bacon onion ring was inspired! Why don’t more places add rashers of bacon inside their onion rings?! The mac and cheese was a little rubbery and cold, which was a disappointment, but otherwise he loved it. And he tucked it all away somehow as well – clearly for some people these burgers aren’t just for social media! Not only that, but he also put away more than his fair share of these curly fries! 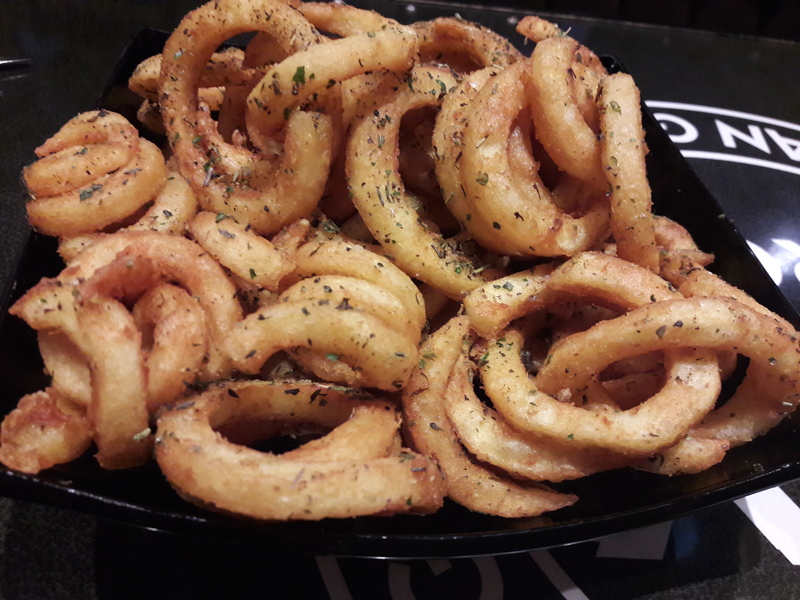 There were a few different kinds of potato sides, and additional sauces unavailable, but we only had eyes for the curly fries because they’re not really a thing in Prague. Oh, they were beautiful, and seasoned to perfection! 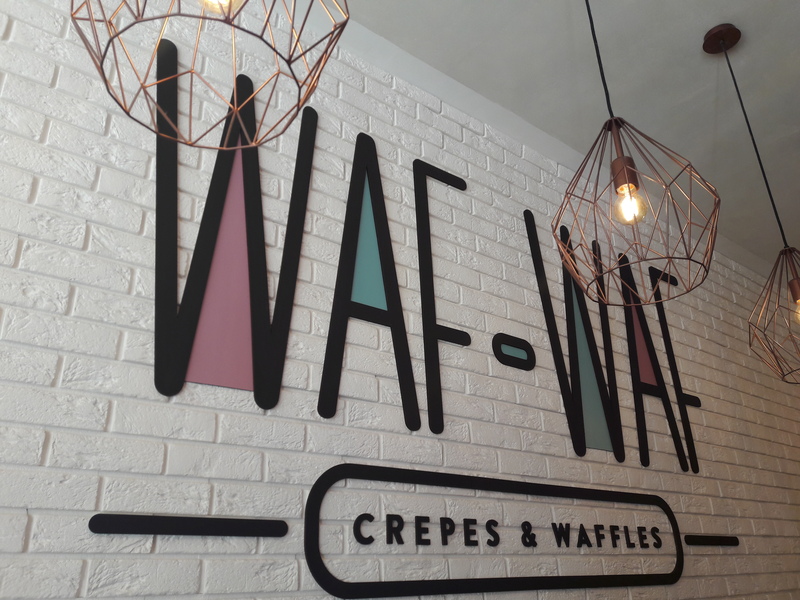 The menu was really extensive and also had veganisable waffles and pancakes with numerous toppings (it’s open 24 hours), plus milkshakes and desserts. Who would ever have room for any dessert though?! This place is definitely not cheap. Alongside these three dishes, we also ordered two Sprites and it all came to €56. It was worth the splurge though as a one off. Who knows when I’ll have the chance for such an Instagrammable meal again?! I’ve been stuck in a rut lately, food-wise. 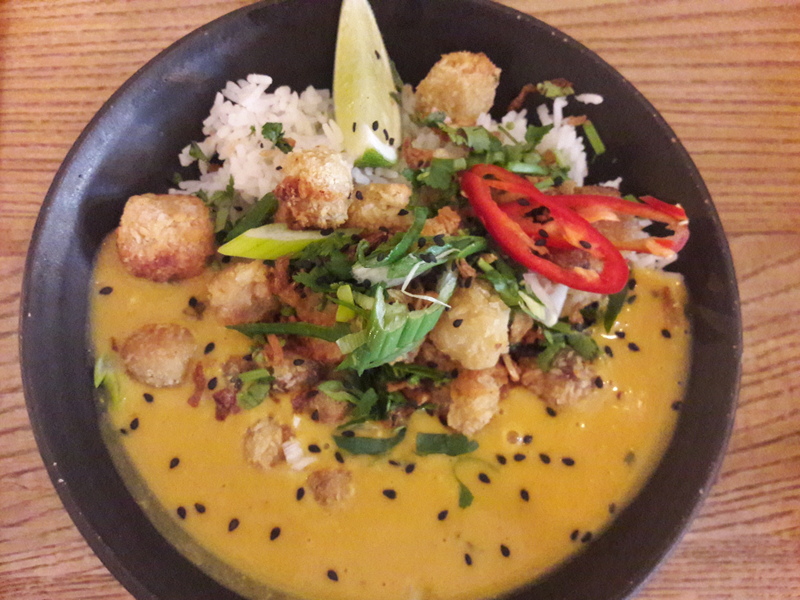 There are new eateries popping up all the time on Happy Cow, but I can’t seem to tear myself away from my familiar old favourites. 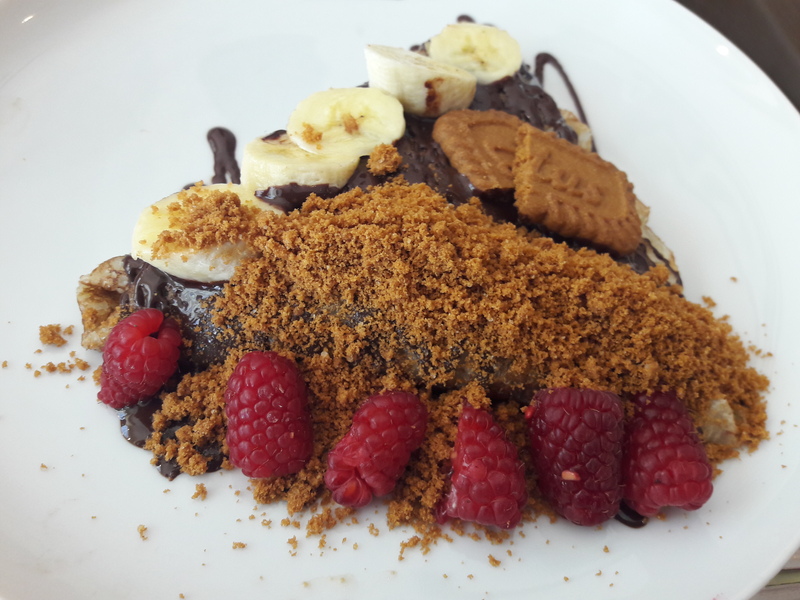 The far more adventurous Dr HH finally convinced me to visit a spot with new vegan options lately, and I’m glad he did…though when it comes to vegan pancakes and waffles, I don’t need too much persuading. 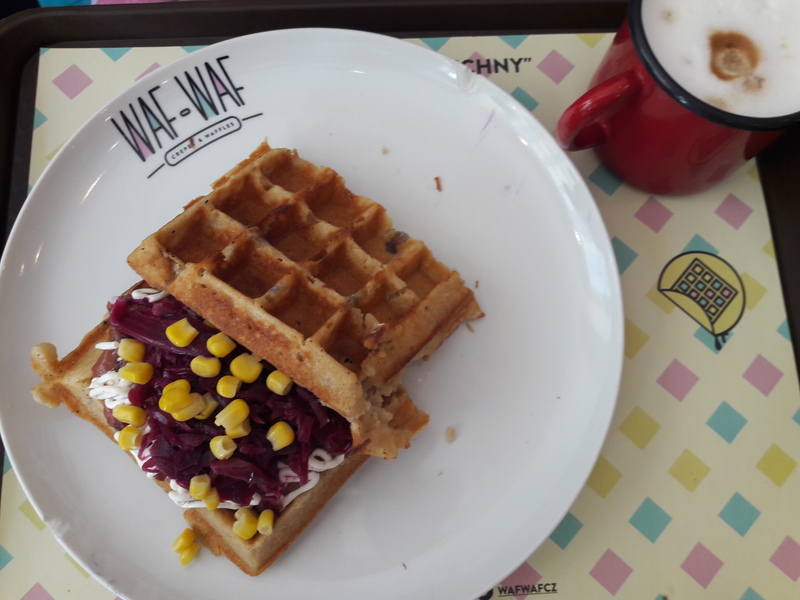 Waf-Waf rivals Wafflin on the Prague brunch scene, but there are some differences. I have to say that I prefer the Waf-Waf aesthetic: it’s a pretty place. But on the downside, there’s no table service – you have to order at the counter and listen out for them calling your order so you can go and pick up your tray. Also, it seems to be more popular with the younger crowd than Wafflin, and if you’re an old lady like me there are few things worse than spending your Saturday morning sitting next to a bunch of teens. The vegan menu seems fairly new, and features two specials: a sweet vegan pancake, and a savoury vegan waffle. Regular readers will not be surprised to hear that Dr HH went savoury and I went sweet. There were two waffles, which is always a good sign, and Dr HH reported that they were very good and flavoursome. The toppings left a bit to be desired though: red cabbage, mayo, sweet corn, and, rather mysteriously, a solitary kidney bean. Not too inspired. He would definitely get the savoury waffles again, but would go for a build-your-own approach instead (the vegan waffle isn’t listed on the build-your-own menu yet, but we assume it would be a possibility, and there were some good vegan options on there, both sweet and savoury – not as extensive or as well-labelled as at Wafflin though). I was much more satisfied with my choice. A vegan crepe is quite rare in Prague – the chunky American-style pancakes are far more common. 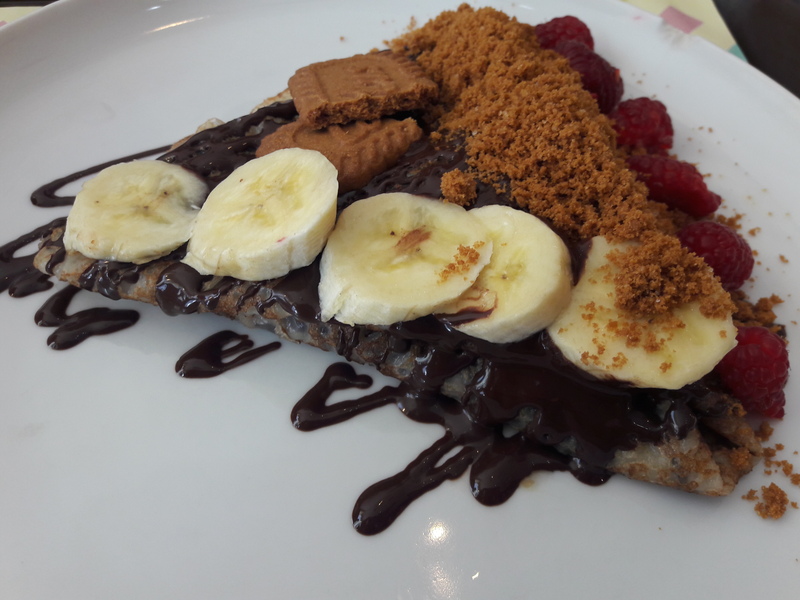 The crepe itself was lovely, if a little thicker than I was expecting, and I enjoyed the additions of raspberries, banana, chocolate sauce, and Lotus crumbs. Actually, the crumbs were the best part, adding a lovely crunchy texture. I would happily order this again every day! As a bonus, they were playing some great ’80s hits when we were in there. Take that, teens! 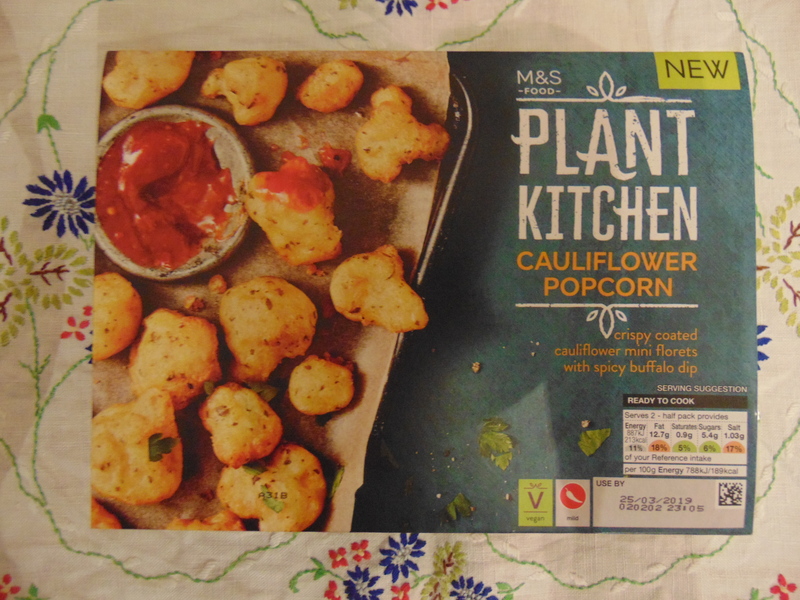 If you are a vegan who does not live under a rock, you may have noticed that Marks & Spencer has released a new line of vegan ready meals, known as their Plant Kitchen range. This has inspired the usual comments from the online vegan community: they’re too unhealthy, inspire laziness, use too much plastic. Personally, I think anything that makes veganism more accessible must be a good thing, and even the most well-intentioned home cook/zero-waster has the occasional day when they just need a quick fix. As such, I was very pleased to see these products start popping up at the M&S branches in Prague. 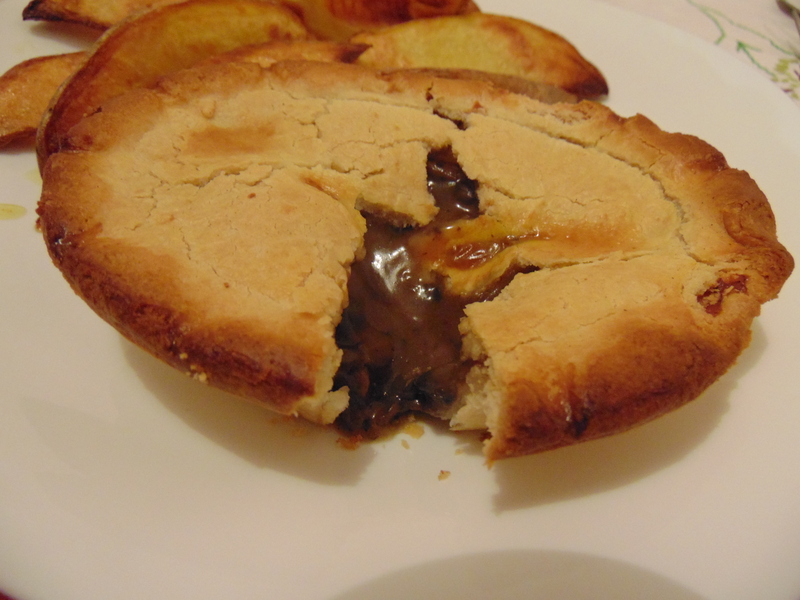 The mushroom pie is my favourite discovery, because vegan pastry is virtually unheard of here. This pastry in particular is so buttery that the first time I had it I went and double checked the box just in case it wasn’t really vegan. It is delicious! So far I’ve only found it in one location in Prague (Wenceslas Square, for anyone trying to track it down), but it’s always worth the detour. The dirty fries are more readily available, and also pretty good – proper, thickly cut chips are hard to come by in these parts, to I definitely appreciate that. 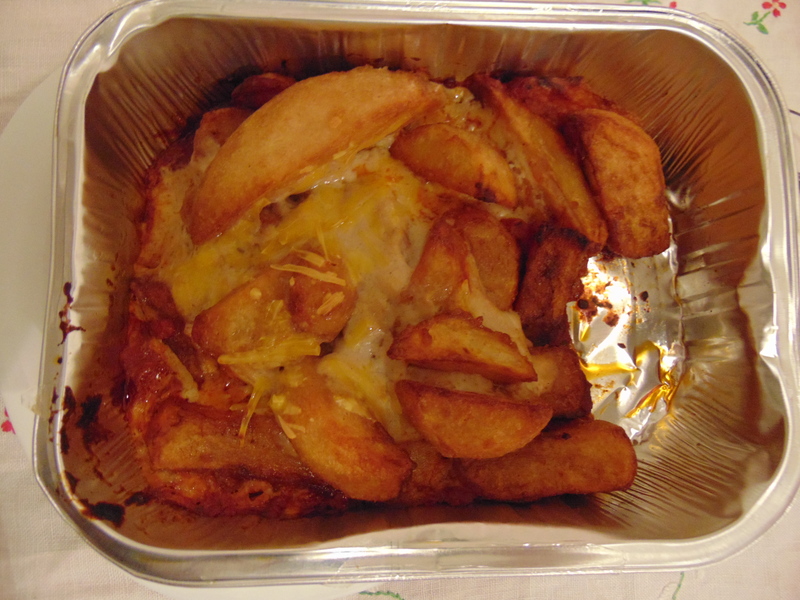 The chips are doused in a tomatoey sauce and bechamel. Generally, I like a dry chip, but I can’t deny that these are tasty. Both sauces are really nice, and there’s good coverage on the chips as well. There’s something quite decadent about chips like these! We paired the fries with the cauliflower popcorn for a lazy night in, kicking off our long overdue great Buffy rewatch (six episodes in I have to say that Xander’s creepy obsession with Buffy has not aged well). It is perfect in-front-of-the-TV junk food! 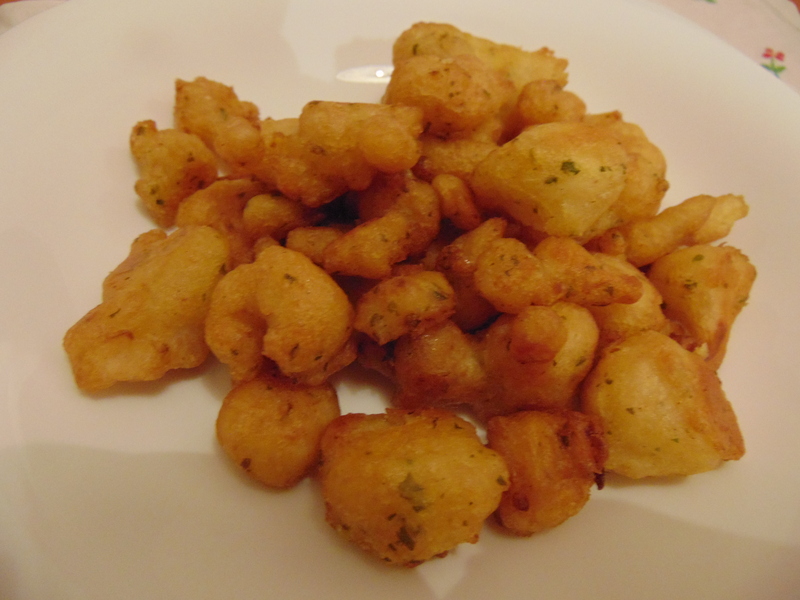 The coating on the cauliflower was good and well-seasoned, and the pieces were the perfect size for pecking at. The dip was also pleasant, though not spectacular. 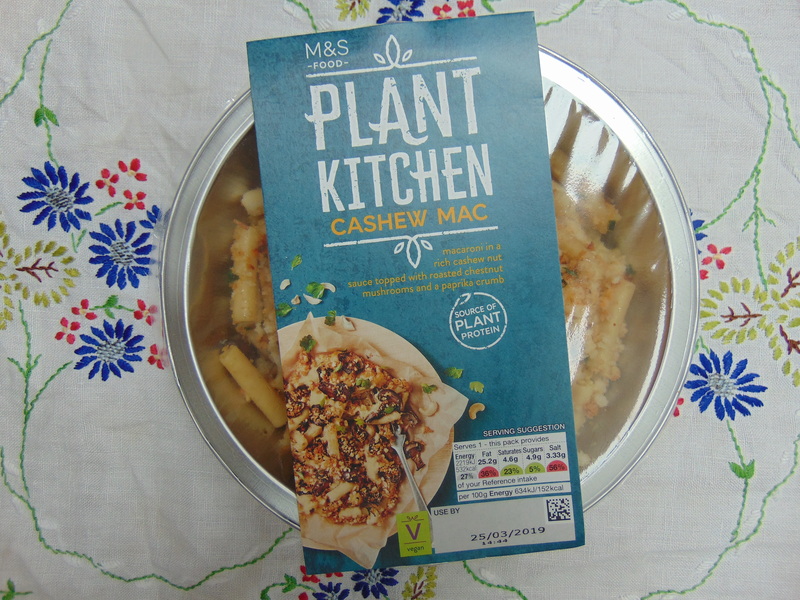 I’d heard mixed reviews about the cashew mac from the rest of the vegan community, so I was expecting the worst. I needn’t have worried though! 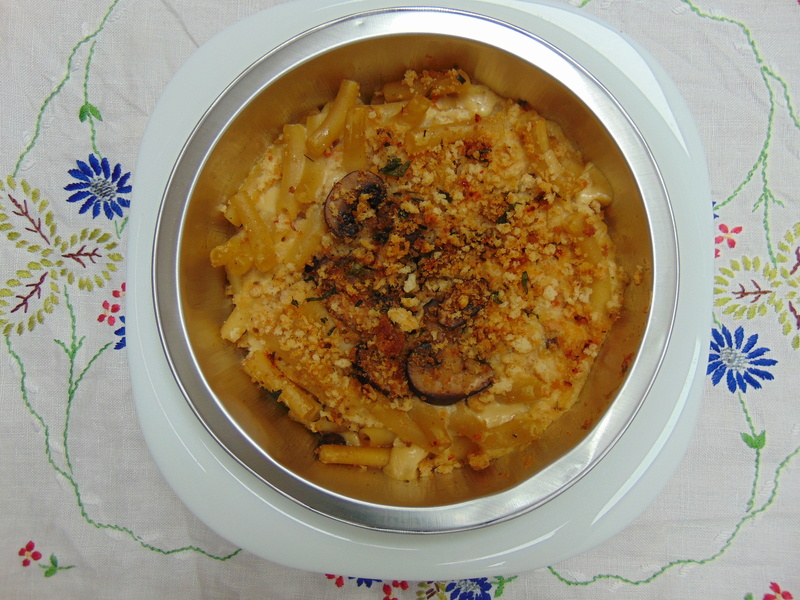 The sauce was good and creamy, and the mushrooms and crumb topping were great additions. It might have needed a touch more seasoning, but honestly, for a ready meal I think this was really good. 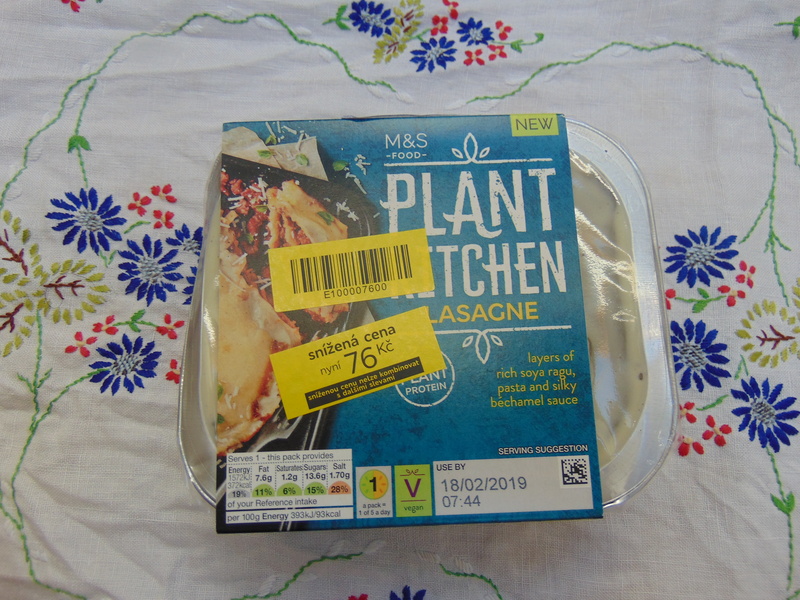 And lastly, we’ve also tried the lasagne (ah, behold the yellow stickers – always a welcome sight!). This was the most underwhelming of the bunch – solid, but a bit bland and unremarkable. Fine for an emergency, but I won’t be rushing to purchase it again like I will with the others. So there we have it – vegan life just got a little easier, and I’m definitely on board! 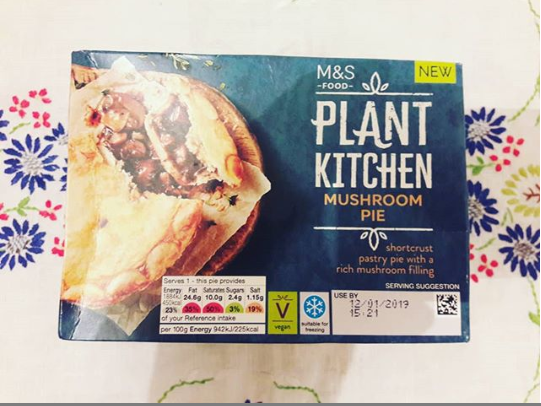 The pie is already one of my favourite vegan products ever (yes, better than the Linda McCartney pie), and I hope it will spread to the other locations around Prague. What other products from the range should I look out for? And is anyone else really disappointed that the sandwich from this range is essentially just hummus and avocado? I was expecting so much more! We all know that veganism is on the rise, and I’ve been very pleased to see the evidence of this in my own workplace. When I started there 18 months ago, I was the only vegan and it was a sad and lonely time with no options for me at the Christmas party. Now there are two other vegans in the office, plus four people who are mostly plant-based besides the odd bit of cheese: we’re taking over the world! I even managed to get us some delicious, labelled vegan options at our last Christmas party. Not only that, but I’ve successfully convinced two separate teams to schedule our team lunch at a nearby vegan restaurant, and set up a standing weekly lunch date there with one of my omnivorous colleagues. And that restaurant is the wonderful Pastva. I’d been a good few times before I started working in the neighbourhood, but then it was mostly for the evening menu. Now I’m all about the lunch specials. Every day they have a different menu, generally with one soup and three mains (one of which is always a salad – yawn!). They keep things pretty creative and don’t repeat dishes that regularly, which means it’s always exciting to turn up and see what the daily options are. 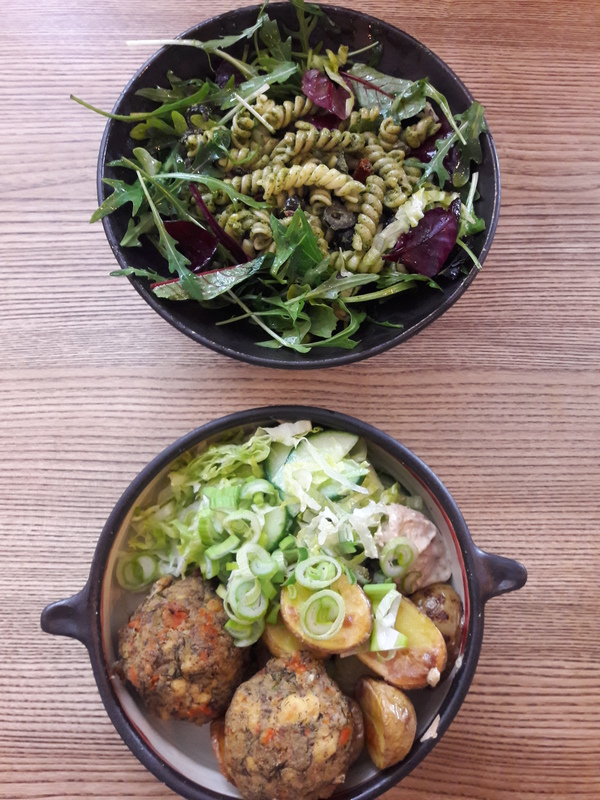 Best of all, the portions are insanely generous and do not skimp on the carbs: a lunch here sets me up so comfortably for the afternoon that I never need a snack (though I could often do with a post-lunch nap). Another thing Pastva has going for it is that the chef is not afraid of spices. 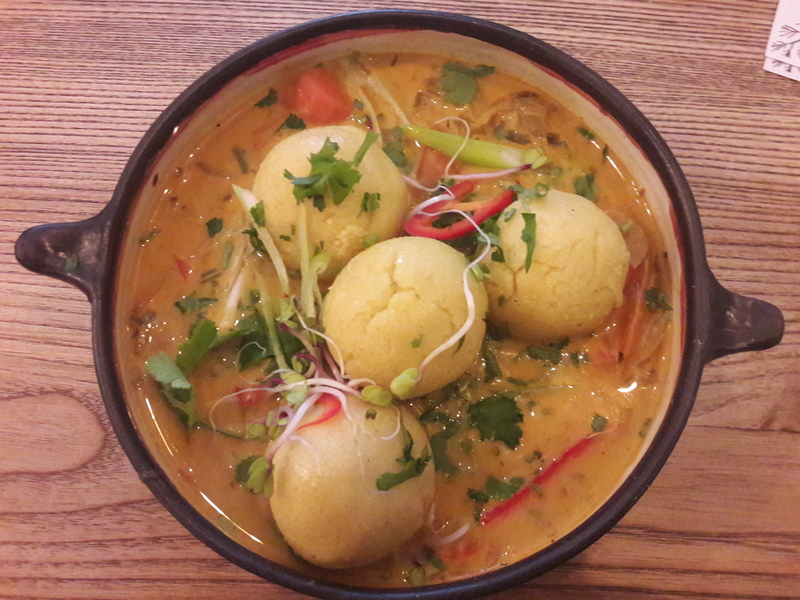 Quite a lot of their dishes are curries or involve spicy sauces, and they know how to hit the sweet spot of spiced but not too fiery. 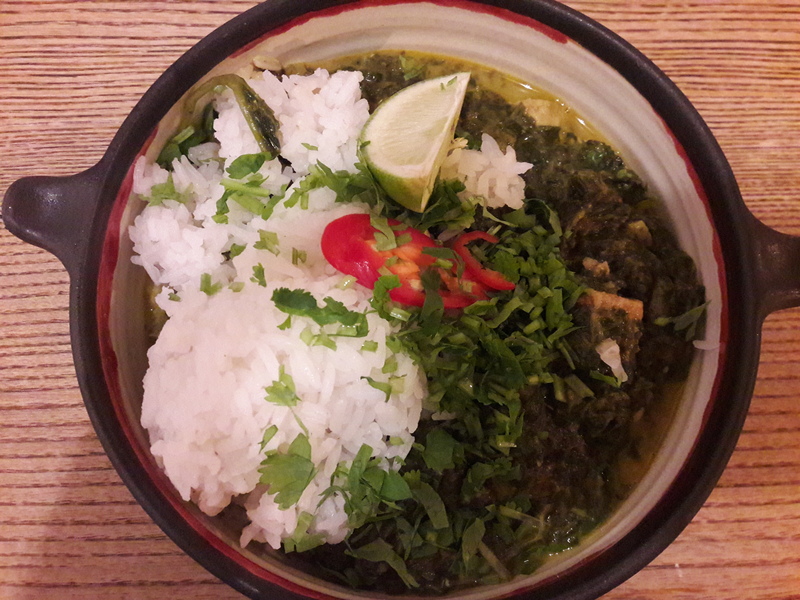 I wish this tofu curry would pop up on the menu again. And if the spicy food has some deep-fried tofu on top, so much the better! They know how to prepare tofu in this place. And occasionally something Czech pops up too, with the classic dumplings thrown in – they may look like slices of baguette, but they’re actually dumplings. The only downside to Pastva is that it’s so popular! It’s always packed from 12-2pm, and they don’t take bookings for groups smaller than four, so it can be a gamble to see if you’ll get a table. If it pays off though, it’s definitely worth it. 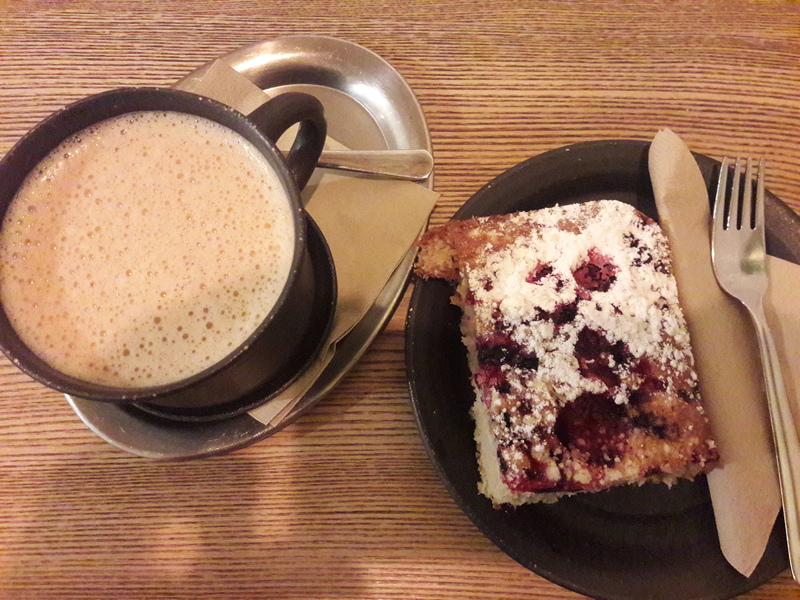 And on days when I take a packed lunch to work, I’ve been known to pop out mid-afternoon for a tea and cake break at Pastva, which is also highly recommended. 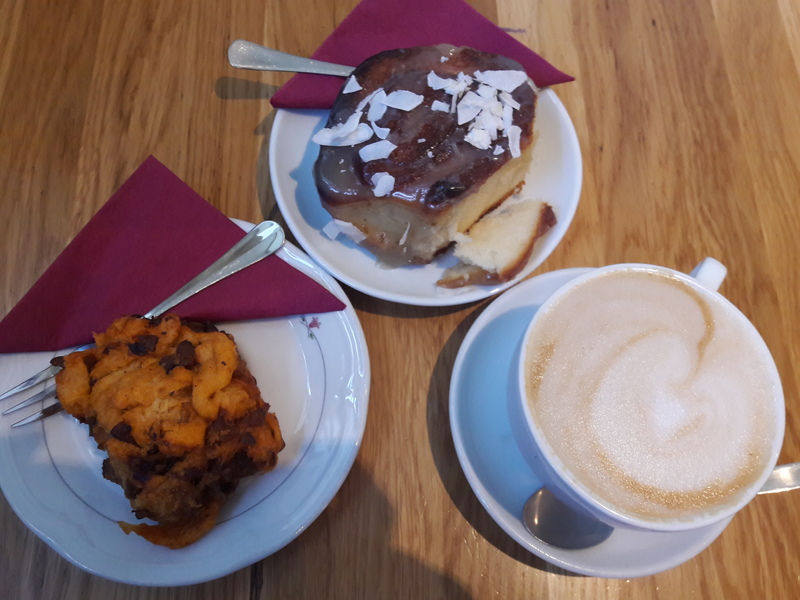 They do a mean chai latte, and some very exciting cakes (though usually only one or two to choose from – savoury is definitely their speciality). They’ve got their presentation down – doesn’t this one look pretty?! 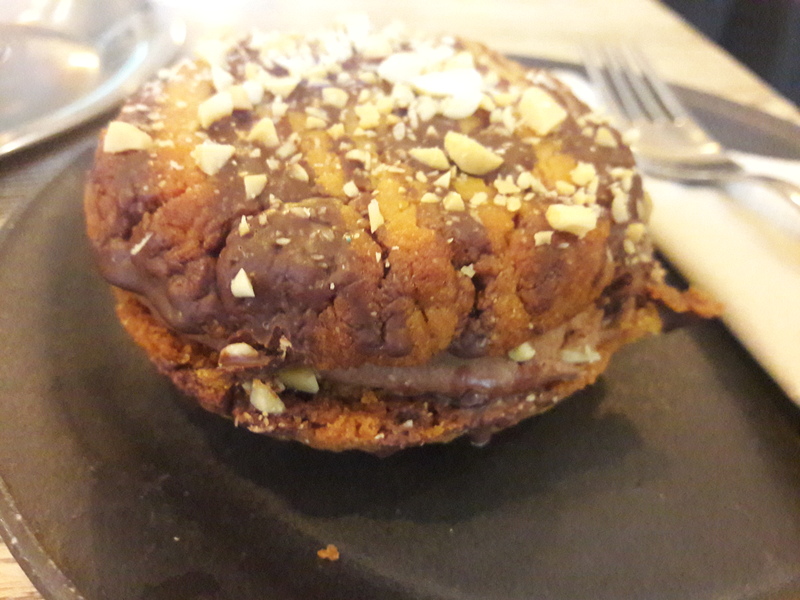 And this peanut butter cookie sandwich is one of the best things I’ve ever eaten – hopefully it’ll become a regular fixture. 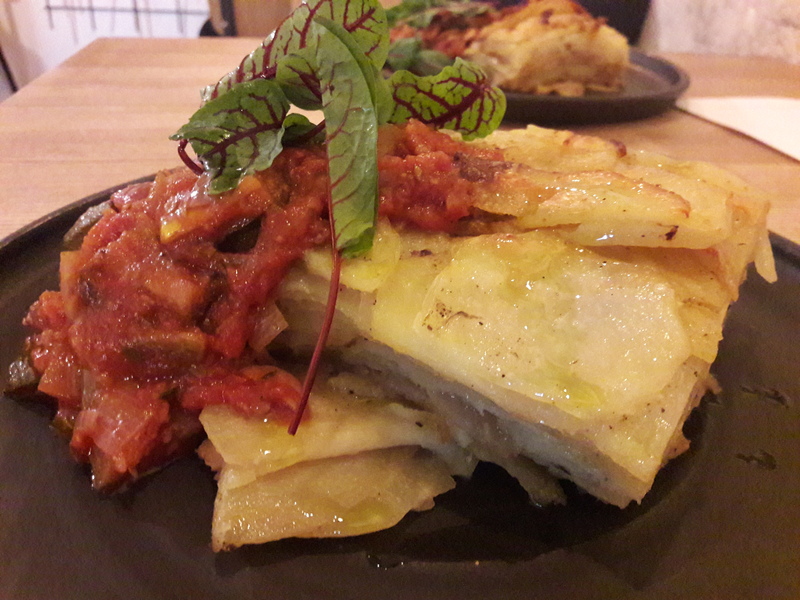 Looking back over these delicious meals, and reminiscing about the ones I forgot to photograph, I feel incredibly lucky to work near this brilliant establishment and be able to go for a top notch vegan lunch whenever I like. And I feel extra lucky to have so many plant-based friends to share these treats with! I’ve written about Moment on this blog many times before (most notably in the ‘year in cake‘ opus), because Dr HH and I go there almost every weekend for brunch, and occasionally we throw in a midweek evening meal as well. We love it. It’s a cosy, friendly place, which always has a lovely array of dogs snuffling around and great staff who serve us with a smile. The menu has stayed reliably small over the years, though there are occasional small changes. In the last couple of months they’ve shaken things up a bit, so it seems like a good time for my billionth post on this place to see what the changes are. …and occasionally even gigantic ones like the lemon and coconut one pictured up top here. 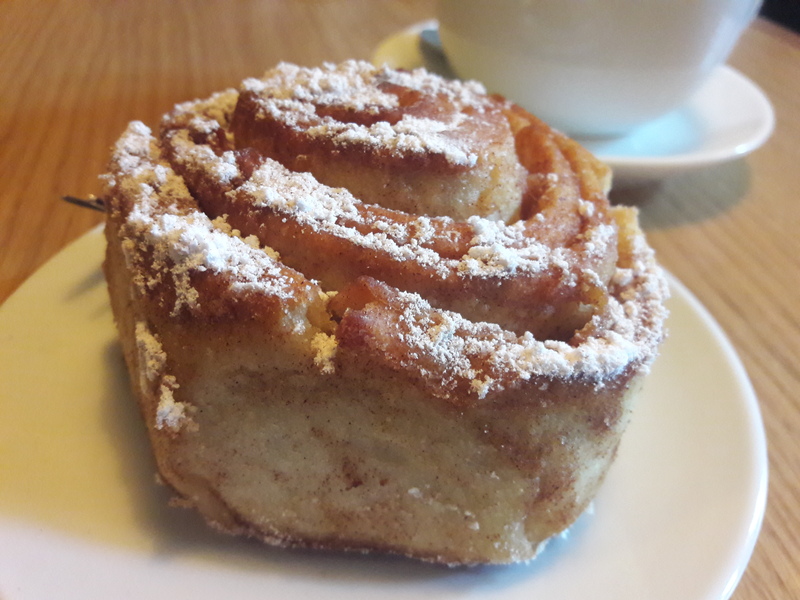 Moment are renowned for their great bakes, so these rolls have certainly been a welcome addition. Best of all, in my opinion, is the savoury bake in the bottom left here. This is a pagáče. 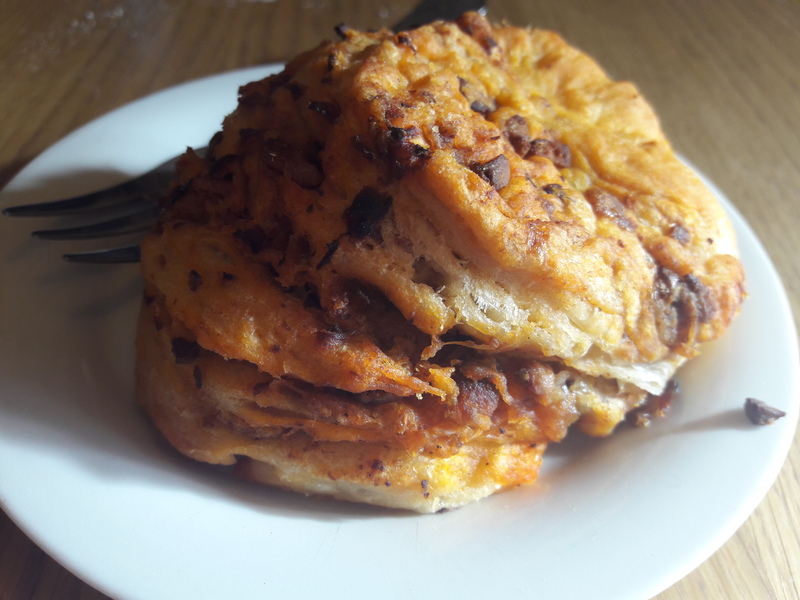 We have been reliably informed by the staff that this is a traditional Slovakian bake, and we’d describe it as somewhere between a savoury scones and a pastry – it has an incredible, kind of flaky texture. It’s speckled with bits of smoky tofu, which are of course delicious. I believe these are only available on Saturdays, so we always pick up a couple to takeaway for an afternoon snack. Other important brunch developments: you can now pay 20czk extra to add kimchi or cheese to the omelette! 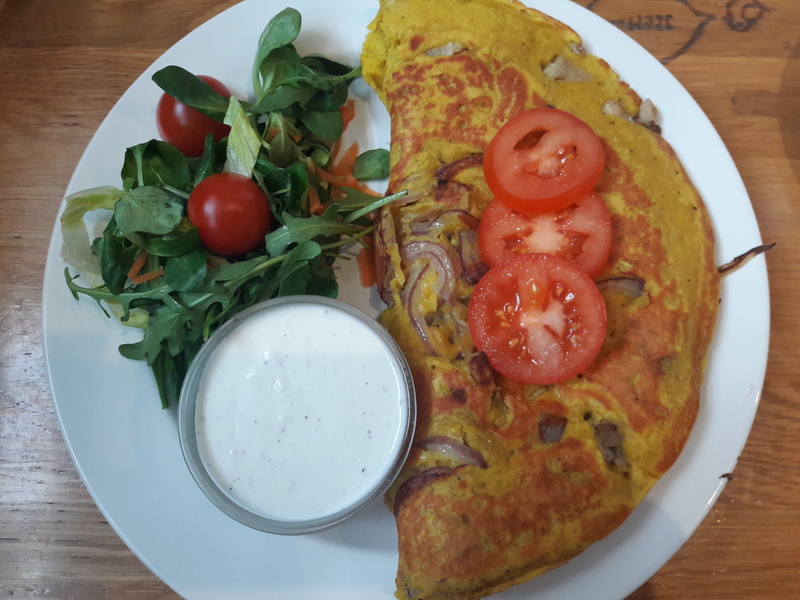 This omelette is perhaps my favourite dish in Prague, so I’m delighted to now have the option to make it cheesy as well. 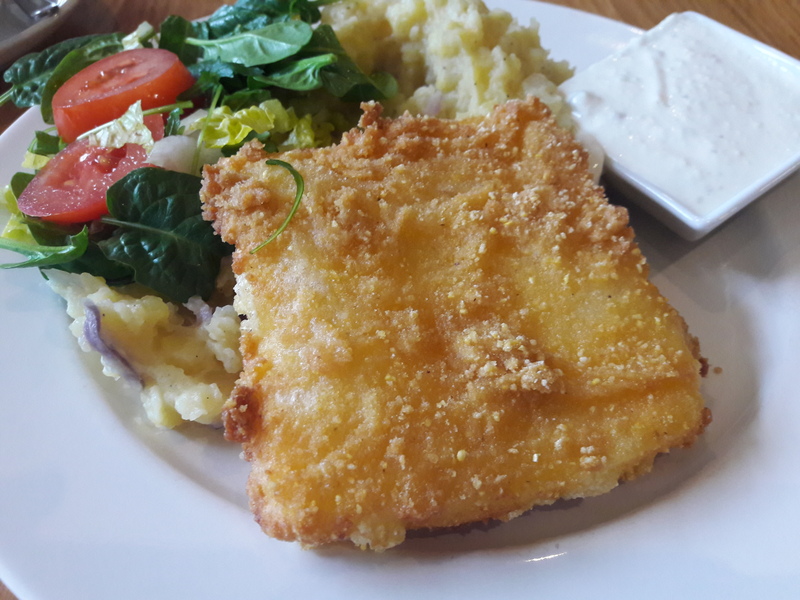 And speaking of cheese – fried cheese is a traditional Czech dish, and you can now get a vegan version of this in Moment every Sunday. I’m not sure there are many things more exciting than fried cheese, it’s simply sublime. 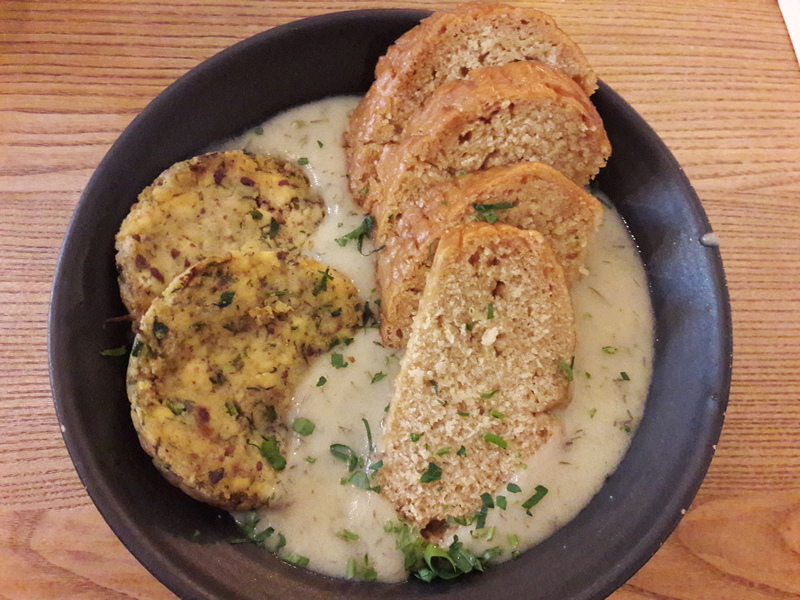 Recently, the most famous Czech dish of all, svickova, also made it onto the menu. 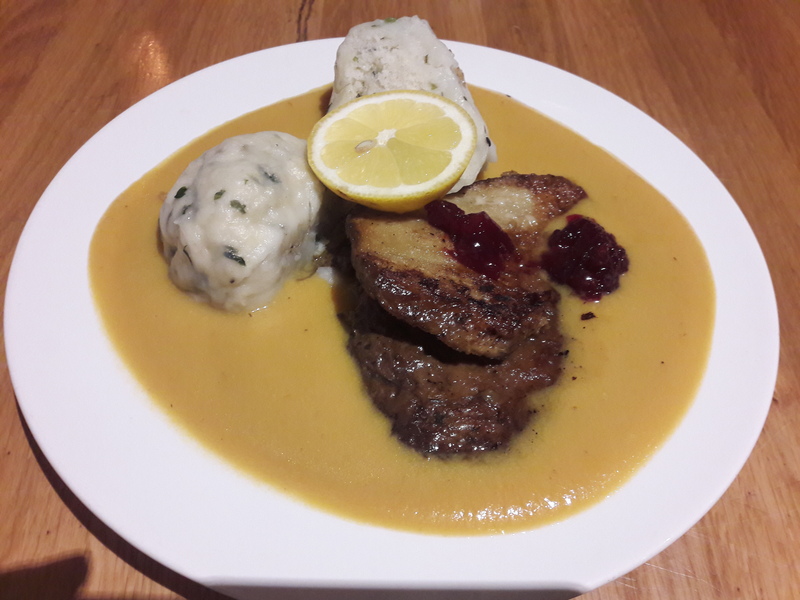 It’s a weird concoction to an outsider, but I’ve become accustomed to it over the years: a root vegetable sauce, hearty dumplings, slabs of mock meat, and a dollop of cranberry sauce. Dr HH says this is one of the best versions he’s had, due to (a) the lack of whipped cream, which sometimes makes a perplexing appearance, and (b) the excellent quality of the seitan. I haven’t tried this one yet, but I’m certainly keen to. And also on the evening menu, there’s this new kebab. As always, Moment really delivers on the mock meat front, and this is beautifully seasoned. The bread is especially good as well. 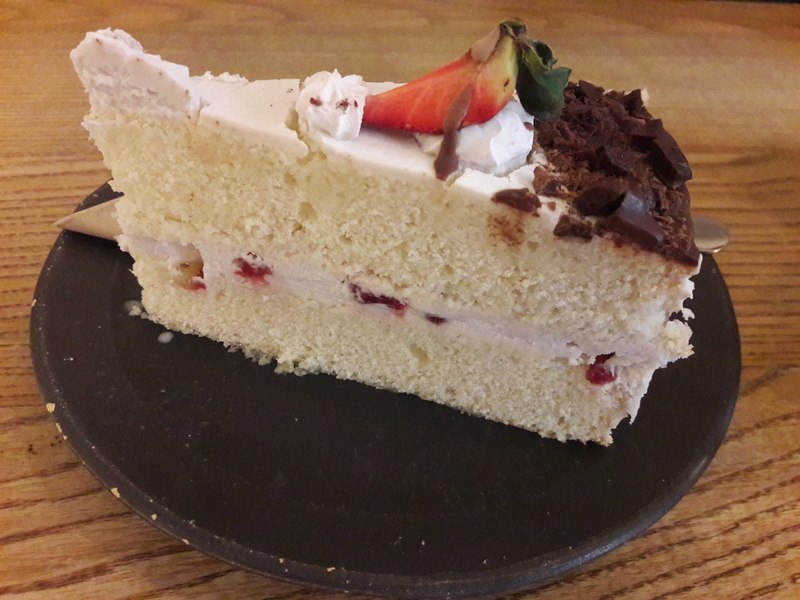 Despite all these changes and updates, the staff have not started slacking in other departments: the cake is as good as ever! 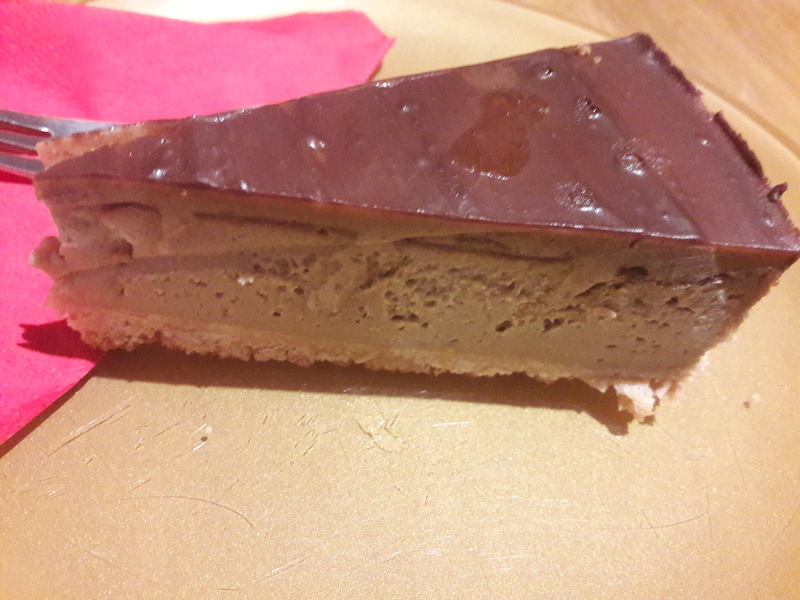 Behold perhaps the best cake I’ve ever had: the salted caramel cheesecake. And the selection is still as tempting as it was the first time I went in, and has now expanded to include cupcakes and brownies as well as the standard cheesecakes and layer cakes. In short, I could comfortably manage another ‘year in cake’ post this year! If you ever visit Prague, Moment remains my absolute top tip. Go for brunch, go for coffee and cake, go for the daily lunch special, or go for a glass of wine and an evening meal: just make sure you go! 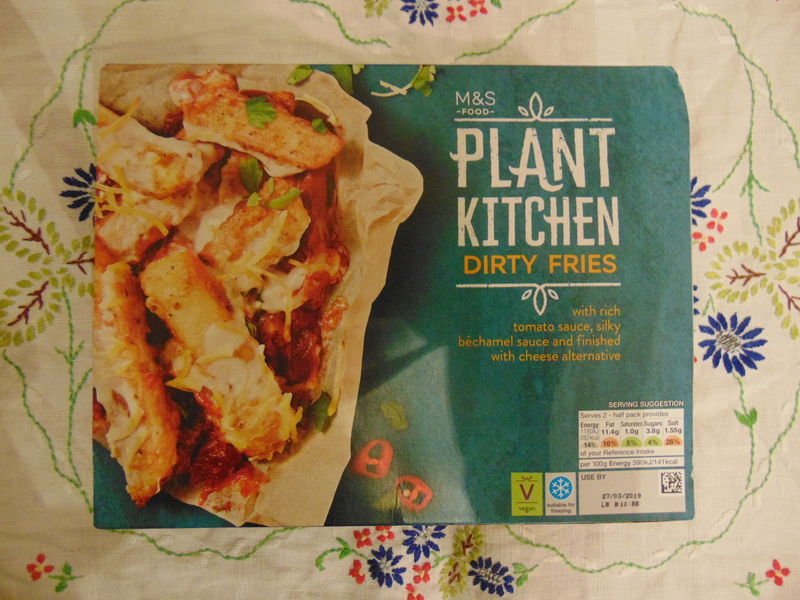 There’s no shortage of new vegan products these days, with so many supermarkets and companies jumping on the bandwagon and delivering exciting new options. Lately it seems that a lot of my new discoveries have been dairy substitutes (milk and butter), but they’ve been very excited indeed. Here are five new products I’ve tried recently. 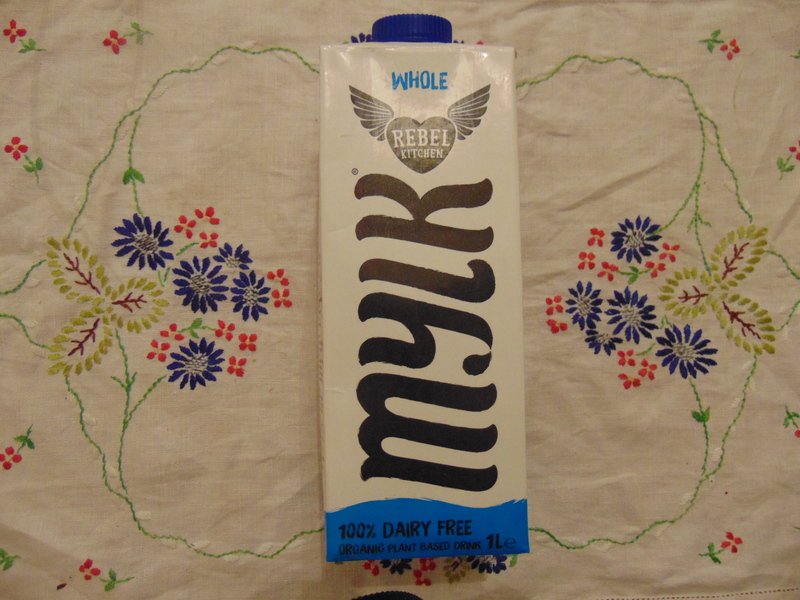 I spotted this carton on the shelves in a local vegan shop and almost swooned with excitement: whole milk! 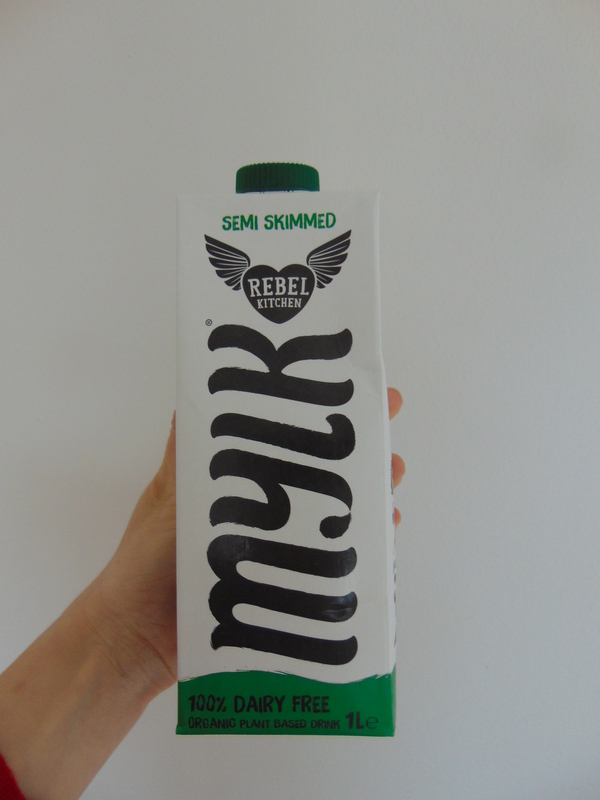 When I grew up we always drank semi-skimmed dairy milk, and knew that whole milk was only for very special, indulgent occasions. I was very excited to try this in a hot chocolate, and let me tell you, it was everything I’d hoped for. (It’s possible that it’s all in my head and I’m just convinced it must be that bit more special, but I don’t care. It was magnificent! 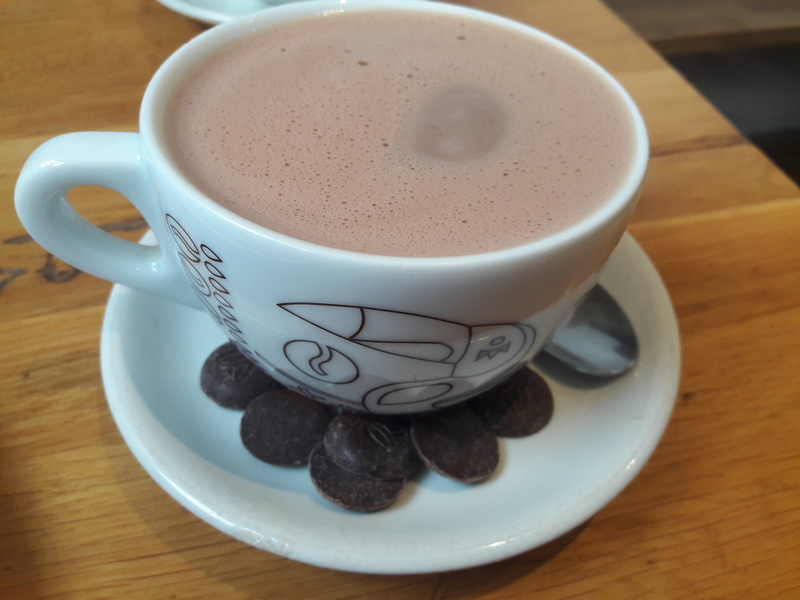 The semi-skimmed variety (which I only got because I’d apparently cleaned them out of the whole milk) also made a solid hot chocolate and cup of tea. I wouldn’t go out of my way to get this one again, though it was perfectly good – it’s more expensive than other neutral milks, and not as fancy as whole milk in my mind. 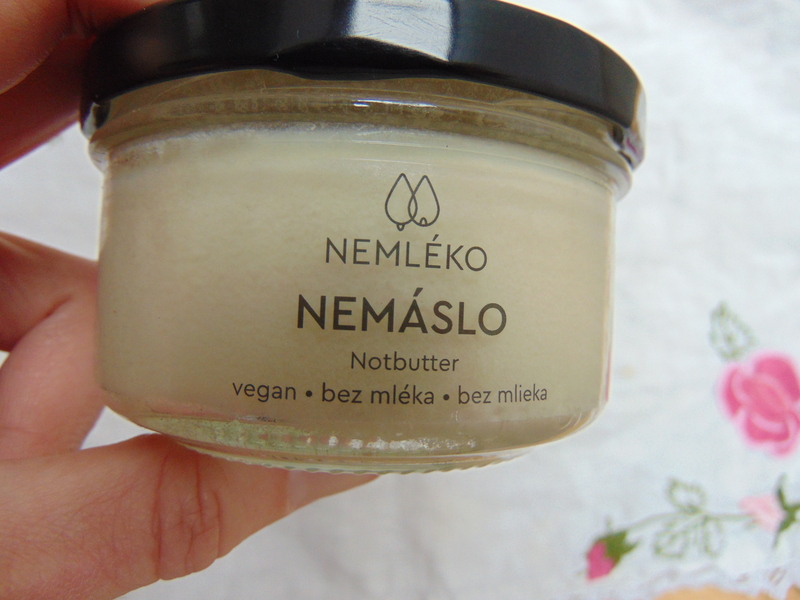 Speaking of fancy…I’m a big fan of this Czech company, which produces vegan milk, yoghurt, and butter. Everything comes in glass bottles or jars, which I’m a big fan of, though it does make everything that bit more expensive, so we usually only rarely splash out on one of their products. We were powerless to resist the gingerbread milk though, and it was really delicious, especially served warm. And we finally caved in and tried the butter, after struggling for a while to justify the price when we usually make our own spread. This is really nice, and very spreadable. Also, butter from a glass jar is just so fancy! Dr HH prefers the additional flavour of our homemade variety, and he makes a good point – this is very neutral. Imagine if they brought out a salted version! I try to avoid single use plastic, but sometimes I just can’t resist. 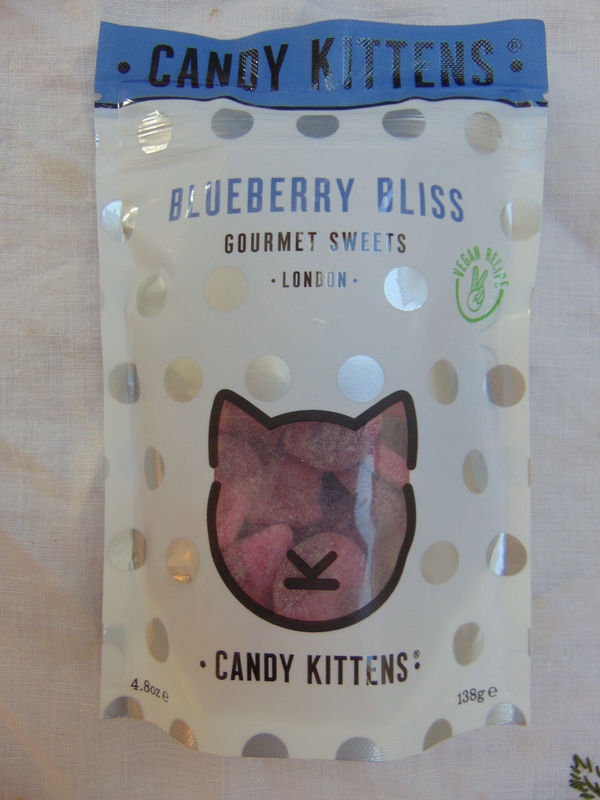 I discovered these delightfully fizzy jelly sweets at Heathrow last year and now I’m always on the lookout for them. There’s something so comforting about tucking into a bag of sugary jellies while watching a film. I have one more packet which I’m trying to save until the weekend as the perfect accompaniment to Captain Marvel…let’s see if they survive that long! What new products are on your wishlist? What should I be looking out for? Let me know!